Is this the successor of the Voyager for Verizon? One of the most popular handsets to wear the Verizon logo is the LG Voyager, also known as the VX10000. The handset was one of the first feature phones to come equipped with a HTML browser and was the touchscreen model with a full physical QWERTY keyboard that gave birth to the phrase "iPhone killer". 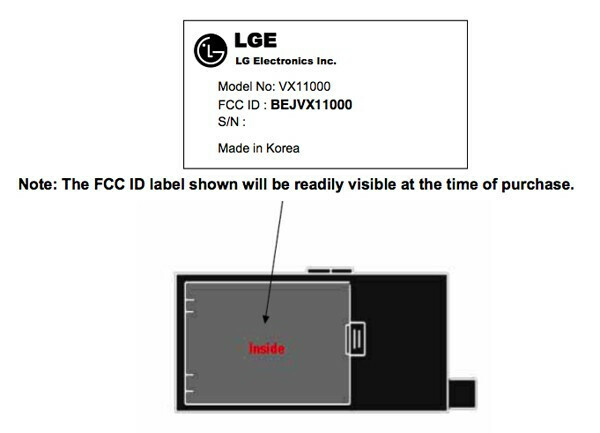 Now, about 18 months after being launched, a handset with the model number of VX11000 is making its way through the FCC approval process. The VX prefix tell us to expect this to head to Verizon and we do know this is a CDMA/EV-DO model which makes Big Red an even better bet. Is this the Voyager2 or some other replacement model for the aging double-screen device? Or is this something entirely new. I know a lot of people who really love their Voyagers and will go crazy for this news. As for me, my voyager drove me crazy (in a bad way). I bought it on release day and got rid of it 6 months later. But you never know, this one might be better. Uh oh this could be big!!!! That was never the case, they always said it was a diferent series, have you forgetten the ENV^2?? I know, but isn't the Voyager basically the EnV...but with a touchscreen + QWERTY keyboard combination? finallyy!!! ima pray its the succesor of the voyager or a voyager2, ive had 3 voyagers(black and silver),. and im dyiin for thaa changee!!! Its pretty clear that its going to be the Voyager successor but I'm really hoping for an updated look. Voyager, EnV, EnV2, the concept of all of them drives me nuts. Why have a screen on the outside and flip open to have a screen on the inside? I know at this point that its a Verizon/LG trademark but I'm hoping against hope that we just get a plain old slider for this version of the voyager. Something simple like the Zenon. Verizon tried that with the Glide, and that got recalled. But I think LG will finally make it a touch screen with a slide up QWERTY keyboard.